Bastille has been going at this whole music thing since 2010, but it goes without saying that 2013 was its most successful year. The London-based rock band was founded by Daniel Smith as a solo project. Not long after, he decided to form a band, and he added two multi-instrumentalists (Kyle Jonathan Simmons and William Farquarson) and drummer Chris “Woody” Wood. Signed by Virgin Records, the band started releasing singles in 2012 to moderate success in the UK. “Flaws,” a track from Bastille’s excellent debut album Bad Blood, worked its way into the top 40. Then, in February of this year, the band released “Pompeii,” and like Mount Vesuvius, the song literally blew up, reaching top 10 chart positions in more than 15 countries. 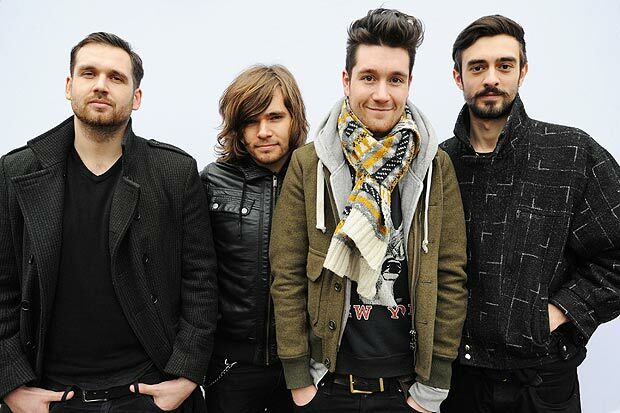 Bastille is a distinguished part of a new crop of alternative/Indie rock bands that are sweeping the musical climate. This list includes bands like Imagine Dragons (who had quite the 2013), The Neighbourhood, Young the Giant, Foster the People, and Grouplove. Out of all these bands (and there are some more I am leaving out), though, I am most excited about Bastille, whose Muse-like epic musicality makes each song potent, infectious, and unique. Although quite different, “King of Spain,” “The Afterlife,” and now “Pompeii” – each #1 song on respective annual Music Court countdowns – share a similar quality: the songs all near perfection (hence their #1 placement!) “Bastille” scores high marks on all qualities of an excellent song (rhythm, melody, lyric, vocal, and instrumentation). The song begins with a Blue Swede-like vocal rhythm. This rhythmic chanting sets an almost allegorical tone, meaning the melody is representative of intense Roman religiosity. One can almost hear this dark chanting in a temple of worship – overwhelmingly spiritual and subtly lugubrious. Dan Smith’s airy voice breaks the chant and carries effortlessly over clacky percussion. This culminates in a choral diapason with crashing percussion, melodious harmonies, and the chanting. The song swoons until it breaks into war-like percussion (the percussion in this song is ridiculously skilled) and a repeated bridge (partially a cappella). The lyric completely fits the song. Over the “tumbling” “walls” and “darkness from above,” Smith urges listeners to “close your eyes” where “it almost feel [s] like nothing changed at all?” While the song is quite literally representative of the destruction of Pompeii, it is difficult not to take it as a metaphorical look at when any unwelcome change occurs in life. Sometimes it is difficult to be “an optimist” and you must “close your eyes” and dream of better days.